This book is a practical guide to recent advances in the field of gastroenterology. This new edition has been fully revised and new topics added. Chapters cover the diagnosis and management of disorders in all areas of the gastrointestinal system. New to the second edition, are chapters on the latest modalities including nuclear medicine, positron emission tomography, and gastrointestinal manometry. 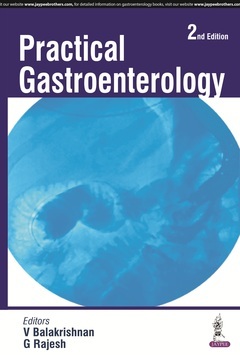 Common geriatric and paediatric problems in gastroenterology have also been included in this edition. The book is enhanced by clinical photographs, illustrations and tables, many of which are new to this edition. How to Investigate a Patient with Jaundice?